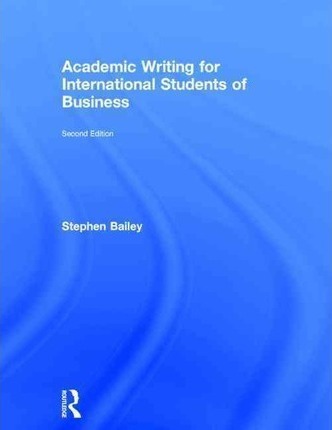 Stephen Bailey is a freelance writer of materials for English for Academic Purposes. He has taught students in Barcelona, Tokyo, Johor Bahru, Prague and Toulouse, and more recently in the UK at Derby University and the University of Nottingham. His other books include Academic Writing: A Handbook for International Students (Routledge) and Heartlands: A Guide to D. H. Lawrence's Midlands Roots (with Chris Nottingham) (Matador).